cutechess-cli—a command-line interface for automating chess engine matches. libcutechess—a library providing an interface for working with chess engines. 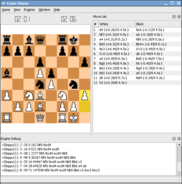 Cute Chess is developed using C++ and Qt. The project has been in development since May 2008 and is currently in active development. The graphical user interface currently only supports very basic features. Most of the work is currently done in cutechess-cli and libcutechess projects. We plan to focus on the GUI after the library has stabilised. We consider cutechess-cli to be stable and usable for automating chess engine matches. The library is under heavy development and the API is still changing. 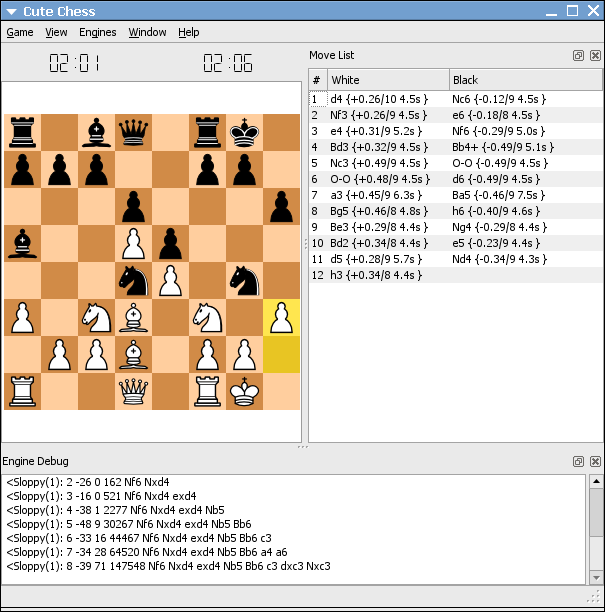 Cute Chess GUI running on GNU/Linux.